Selling High Profile Luxury Jewelry & More for that Special Occasion. 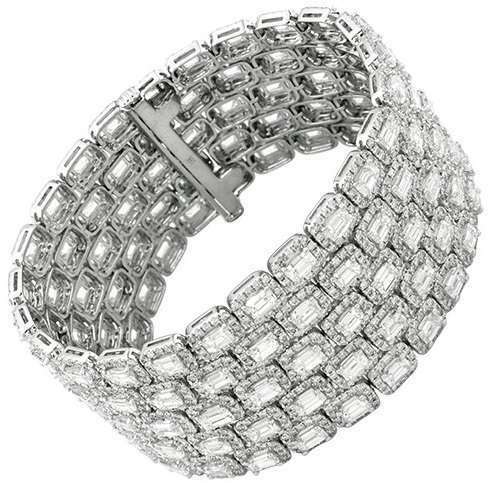 This luxurious Hi-End Emerald cut Diamond five row bracelet showcases 43.27 carats of dazzling emerald cut diamonds. 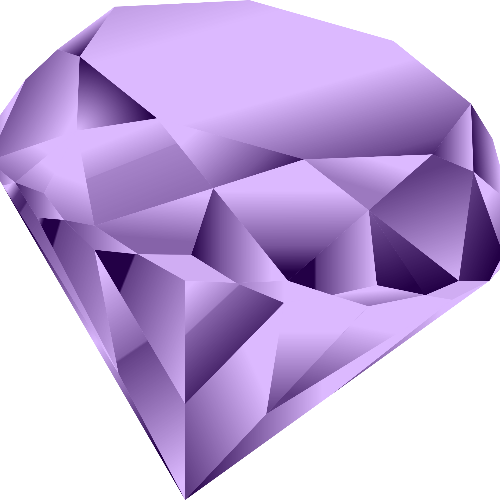 Featuring a highly polished 14K White Gold finish with gorgeous Diamonds and weighs approximately 80 Grams. 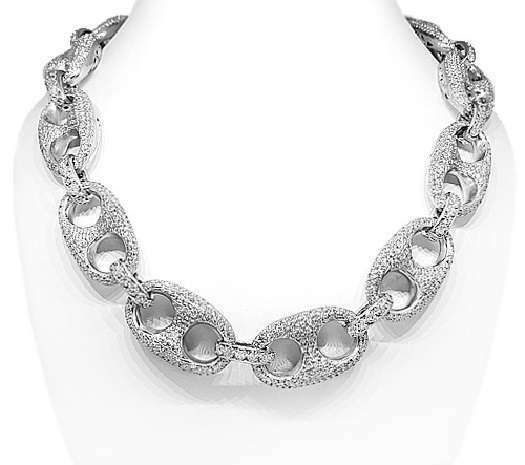 DESCRIPTION This large Men's custom diamond chain is handcrafted in highly polished 14K white gold. Each link is detailed with brilliant round cut diamonds which total to 76.65 carats. The frame measures to 42 inches in length and each link is approximately 1 inches in width. 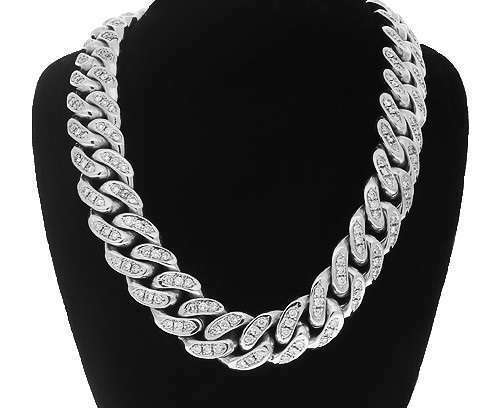 This one of a kind mens Cuban chain is handcrafted in lustrous 14k white gold. Each link is set with small round cut diamonds which total to 20.00 carats. The chain measures to 31 inches in length and 1/2 inches in width. Weighing 350 grams, this chain locks with a slide in clasp and two safety latches.